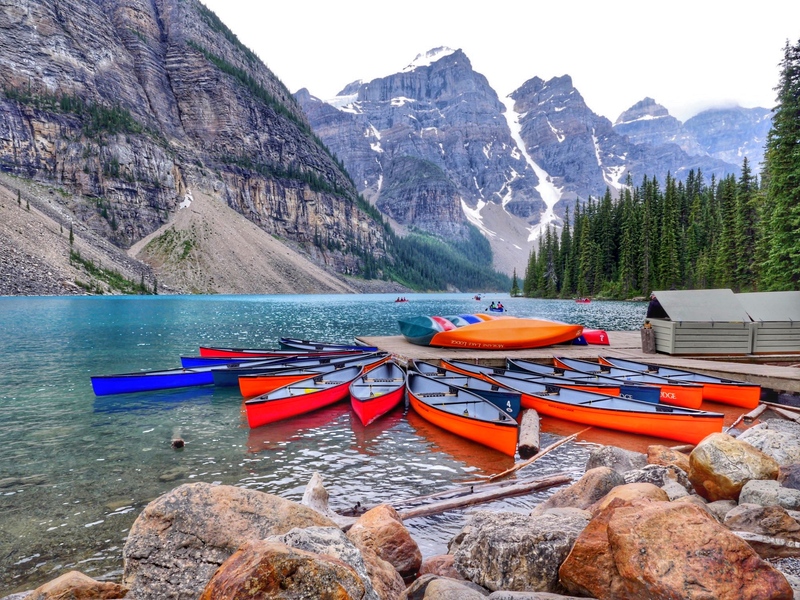 Alberta has a variety of ski resorts to choose from and deciphering between the hills can be difficult when factoring in kids. 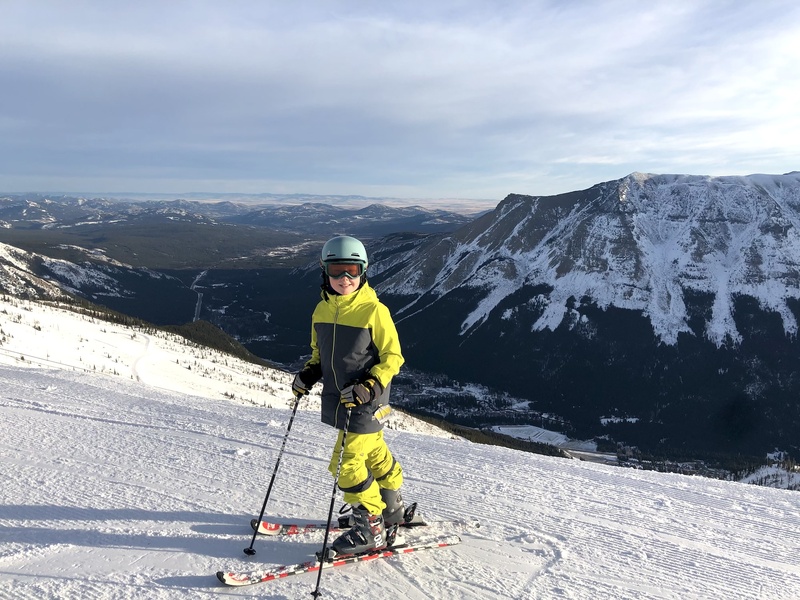 Recently, I headed out on a weekend road trip to visit Castle Mountain Resort and found it was a perfect fit for families. Here is what you need to know about visiting Castle Mountain with kids. With an average annual snowfall of 900cm/354 inches, Castle Mountain is a hidden paradise for skiers. Away from the hustle and bustle of Banff township, Castle Mountain Resort truly offers a different type of experience. 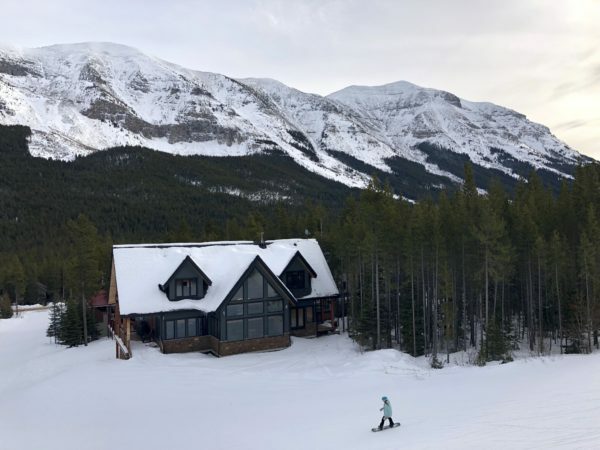 At Castle Mountain, you will find not only skiing and a variety of accommodations but activities including fat tire biking, snowshoeing, and Alberta’s only cat skiing. Located only 2.5 hours from Calgary, Castle Mountain Resort may be just the escape you are looking for. Before heading to Castle Mountain with kids, you’ll want to know a few things. First off, this is a big ski hill and you will need a few days to explore it at the least. With 2 mountains and 8 alpine bowls, Castle Mountain Resort offers 94+ trails, 6 lifts, and 2 terrain parks. Secondly, the lodging at Castle Mountain varies from Castle Mountain Lodge (offering hotel-style accommodation and hostel options) to a variety of true ski-in-ski-out chalets that sit on the base of the Mountain. Before arriving at Castle Mountain, I booked a hotel room in the Castle Mountain Lodge. From the website, I could tell the rooms were simple but would get us close enough to the mountain that we would be able to make the first tracks on some of the hills. The Castle Mountain Lodge is divided into two floors. The first floor offers hostel accommodations while the second floor offers hotel rooms. Our hotel room came equipped with a queen bed and a bunk bed consisting of another queen bed on the bottom bunk and a twin bed on the top bunk. Since only my son came to Castle Mountain with me, we had plenty of room to spread out. We had a clean bathroom with a tub. Our room also came equipped with a microwave and a small dining table. The rooms would easily fit a family of four. 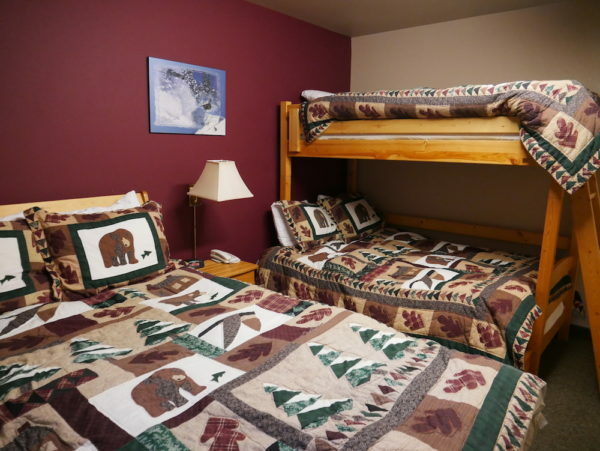 The basement of the Castle Mountain Lodge is home to a kitchen for guests to use, foosball and games for kids as well as a sitting room with a television and plenty of DVDs. The second option for accommodation is to choose from a variety of ski-in-ski-out chalets that range in size, location, and amenities. We couldn’t help but look at the large chalets that came equipped with hot tubs, grills and more and think that another outing to Castle Mountain would be necessary in the near future. Skiing is the highlight of Castle Mountain and you will want to do as much of it as possible. Don’t be afraid to head up to the top of the mountain using the Tamarack Chair (red lift). Although intimidating at first, even novice skiers will find favorite runs. For families with young skiers and snowboarders, Castle Mountain offers a variety of lessons and ski clubs to keep kids busy. Castle Mountain is Alberta’s only ski resort to offer Cat Skiing. You don’t have to be an experienced skier to board the Powder Stagecoach. 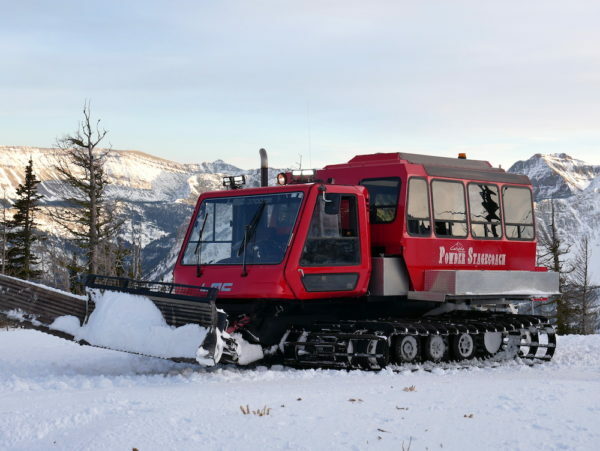 For families, novice skiers and people who don’t ski at all, Castle Mountain offers the Scenic Snow Cat Experience. 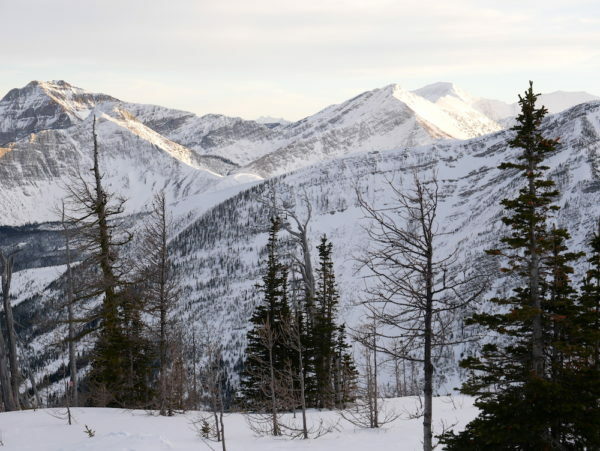 Board the snow cat for a scenic ride to the top of the Haig Ridge where you can enjoy hot chocolate and snacks while taking in the views. On our tour, we learned about the wildlife that shares the hill with skiers, hiking opportunities in summer and how Castle Mountain was discovered. The Scenic Snow Cat Experience truly was the highlight of our weekend. Another amazing activity to try if you want a new adventure is the guided snowshoe tours offered at Castle Mountain. Board a lift with your guide and descend through Ghost Rider Glades and back along the Ski-Daddle Traverse. Castle Mountain resort also offers snowshoe and fat tire bike rentals. 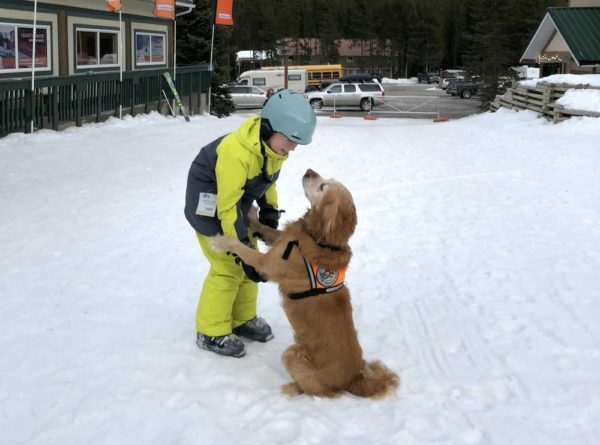 Not an actual experience but if you have dog obsessed kids as I do, keep an eye out for the Castle Mountain Avalanche Dog team. The working dogs are used to help in an avalanche situation and trained as an adorable rescue squad. Like any service dog, you cannot disturb them during work and must ask handlers if you can say hello when they are off-duty. We met retired avalanche dog Huck and truly enjoyed learning about the avalanche dog team. While I was unsure what to expect when heading to Castle mountain resort with kids, I am extremely glad we tried it out. From the sunrise drive through Alberta cowboy country that took my breath away to the family ski resort welcome we felt the entire weekend, Castle Mountain is truly an Albertan gem. Lose the crowds and enjoy a weekend of exploring new trails, trying new activities, and relaxing in the true après-ski pub T-Bar. We were invited to participate in a Media Day with Castle Mountain Resort. All opinions are my own.